Built in partnership with YI Technology, the YI HALO is simple to use, gives creators the control and flexibility to explore, and works seamlessly with the Jump Assembler. 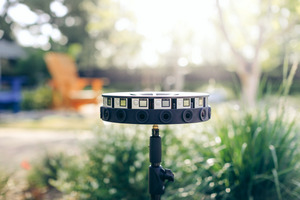 YI HALO is built from 17 cameras including the new Up camera. Live camera preview with the Android companion app. Creators also get more control and flexibility with the YI HALO. At less than 8 pounds, the YI HALO can be transported anywhere, and doesn’t limit them when they’re trying to capture a tricky shot. The internal battery lasts for 100 minutes of continuous shooting, so creators can get "one more take." Filmmakers also love the YI HALO Android app that doubles as a remote control and live preview tool. Filmmakers’ visions come together via the Jump Assembler, which ensures seamless, artifact-free stitches that are ready in a few short hours. The YI HALO camera has been built to natively work with the Assembler. 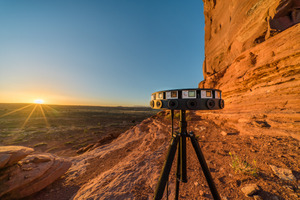 “The camera combined with the stitching algorithm is the best 360 video solution in the industry," said Jay Spangler, Executive VR Producer for Two Bit Circus. YI HALO will go on sale this summer, with units available today to select creators. Interested creators can find more info on the YI HALO website. To see more of what the camera can do, check out this footage (best viewed in VR). To get Jump cameras into the hands of more filmmakers than ever before, today we're also announcing Jump Start. Jump Start gives selected filmmakers both free access to a Jump camera and free unlimited use of the Jump Assembler for their VR film. Over the next year, the program will give over 100 creators these tools and enable them to make their vision a reality. Applications to Jump Start open today, and filmmakers have until May 22nd to apply. We've been wowed with VR filmmakers’ creations, which included treks up glaciers and mesmerizing music videos. We can't wait to see more. We're excited to bring Jump to more creators with the YI HALO and Jump Start. 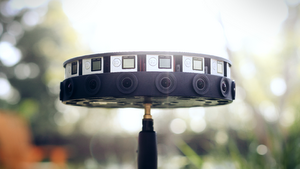 If you're at NAB in Las Vegas this week, come see the camera in person at the Google booth.